How much does it cost to have Acupuncture at 54 Hyde Road? Your First Appointment will be the Traditional Diagnosis and will cost £50. This includes your first treatment. Allow up to an hour and a half for this appointment. Allow an hour for these treatments unless you are told to allow more. How many treatments?? See What You Can Expect for details. (4 sessions for £120). See Quit Smoking for details. Shorter treatments will be approximately ½ Hour long and in the 5 element style. This option will not be suitable for every patient. Home visits are charged at the full hourly rate with an additional fee of £5.00. If you are in financial difficulty but in urgent need of help please let me know so we can discuss other options. Not sure if acupuncture can help? Home visits are possible if you can’t manage stairs or are disabled or elderly and you live in Kenilworth, Stoneleigh or Balsall Common. A voucher makes a great present - just send a cheque for the amount of sessions you want to book (see pricing), and include a covering letter with your name and address. Web Development by Creative Infusion. 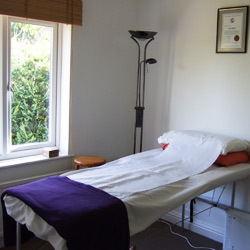 Providing Acupuncture in Kenilworth, Leamington Spa, Warwick, and Coventry.